French jazz pianist Jérémie Ternoy has never quite managed the full 15 lengths with any of the records he’s sent us. In 2013 we heard You Can Dance (If You Want) where his band TOC (piano, guitar and drums) were trying very hard to pull off the jazz-rock fusion thing, with very patchy results. 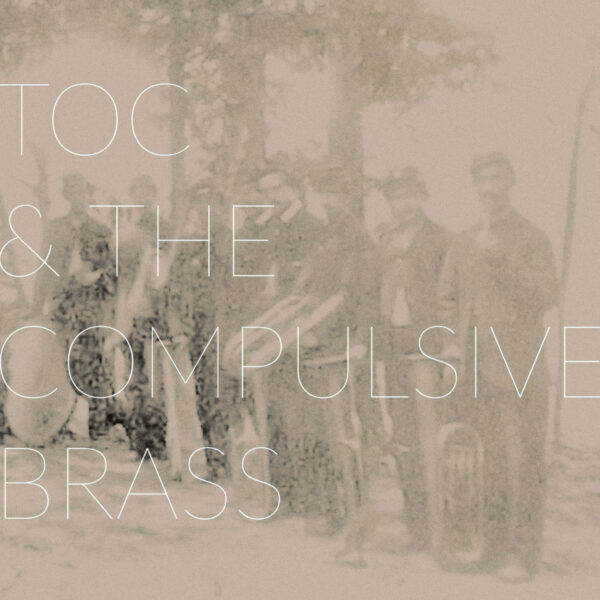 TOC have now joined up with The Compulsive Brass on the record Air Bump (CIRCUM DISC CIDI1601), kind of like when Elton Dean, Mark Charig and others joined the Soft Machine only nowhere near as good, so we have Christian Pruvost on trumpet, Sakina Abdou on alto and soprano saxes, baritone player Jean-Baptiste Rubin and the tuba player Maxime Morel. If you want untrammelled lively squawking which passes for a form of free jazz, then ‘Stomp Out From Jelly’ is the one for you, which I found to be a largely indigestible morass of very soggy pudding spread out over 18 minutes. But I grudgingly admire the way the musicians keep flailing away, hammering at the music until it’s flattened into submission. ‘No Rag For K.’ is slightly less frenetic in pace, but the musicians still can’t get around the overall haphazardness of their scattershot playing; barely a single note feels like it’s in the right place. Drummer Peter Orins keeps pushing the elephantine mass along with an insistent heavy thump; he’s more like the drummer on a slave ship. I think the most off-putting element on this record is the highly florid tootles of the assorted brass players (Abdou may be the worst offender), which are very distracting; these French jazzers can’t seem to leave a note to manage for itself without ladling on eight pounds of excessive embellishment, extra dollops of whipped cream and spun sugar which we didn’t order. The album may be making some references to the music of Jelly Roll Morton and Kid Ory; and while early jazz is not my strong suit, I doubt that either Morton or Ory would have allowed this sort of flabby posturing in their bands. From 29th September 2016.